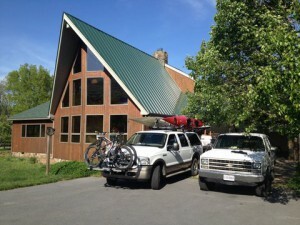 A great base-camp for a relaxing weekend or a week full of adventure in the mountains. 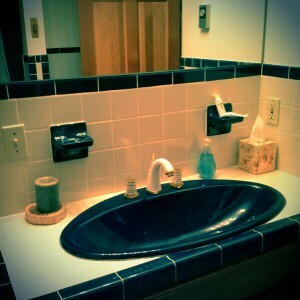 One of two downstairs master bathrooms. 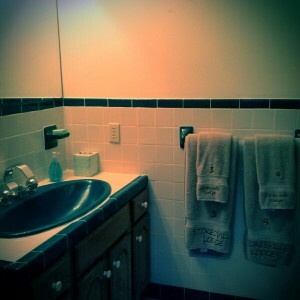 Bathroom to maser suite with numbered towels for your convenience. 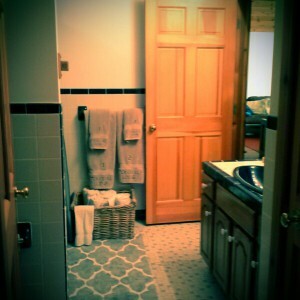 The second downstairs bathroom is shared with a large bedroom and rest of the house.